For the eighth consecutive year, Prime Source Entertainment Group has partnered with The Swan Ball, the most exclusive and fabled party in Nashville and one of the premier charity events in the United States, held each June among - and to benefit - the lush gardens of Cheekwood Botanical Garden and Museum of Art, considered this city's Biltmore. Ladies wear custom designer dresses they sometimes travel internationally to procure. 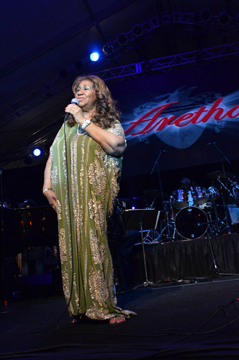 Entertainers have included Diana Ross, Earth, Wind & Fire, Jay Leno, Al Green; at this year's ball, Prime Source Entertainment booked Aretha Franklin.